The delicate bag is purely handmade. The colors of the beads are vibrant and fade-proof. The whole frame of the bags is structured by thin solid plastic pipe, therefore it is flexible and will not deform. 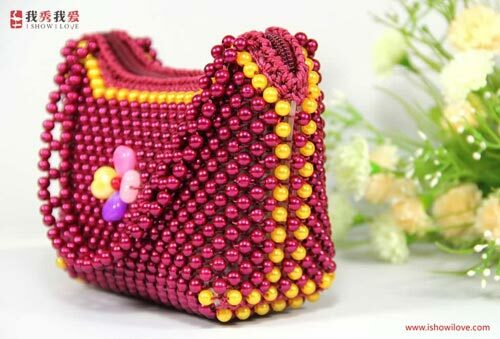 The glittering bead and elegant style make the bag noble. The bag is a great help when you go out for dinner or a party.